Our Charitable Trusts team encourages community philanthropy by offering individuals and companies an easy and effective way to give to charities within Australia. Ideal role for an enthusiastic self-managed individual to administer a portfolio of charitable trusts have been established from specific bequests or public appeal. A background in the community or philanthropic sector will be highly regarded. 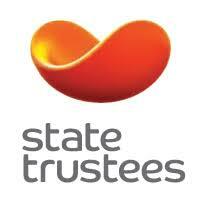 State Trustees provides a comprehensive range of trustee, executor and personal financial administration services to Victoria and has done so for generations. As a state-owned company we are committed to helping our clients realise their full potential and offer tailored solutions that can help all Victorians, at every stage in life’s journey. Please quote in application: Charitable Trust Consultant via Pro Bono Australia.